And I think it's here to stay for awhile. 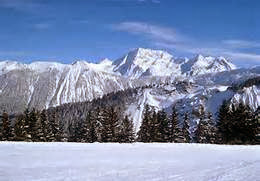 Most of the mountains are covered in snow. Snow has blanketed the wood and the grass. It's just so pretty, don't you think? We have received our second and third snow now. So blessed to get some snow this time around. This land is so very happy for the snow. knock down all the dust and dryness all around. Building Snowman's and Sledding when ever we can. What does your family do during the Winter months? I hope you find time to get outdoors and do something enjoyable! Amy, you have made me feel very cozy and happy about the snow. I feel like I want to do all the things you mentioned, and that is nice, since I was dreaming about beaches in far away places, and the wearing of shorts and flip flops… now I can go get me another cup of coffee/cocoa, and remember how very good our snow and winter time is… and I say that without sarcasm. You are a treasure Amy. Loved your previous post… left a comment there as well. Hello, Very sweet post! I try to embrace each season that comes. I love something about each one! For everything has its time and purpose. I am praying for more snow!! It's funny looking at snow when we are melting at 102F (39C) , I wouldn't mind some of that coolness right now:))) why you are enjoying your hot chocolate I'm drinking a cold iced coffee! I'm enjoying this beautiful snowy season.